Queer people fought back against police harassment at New York City’s Stonewall Inn in June 1969, launching the modern LGBT liberation movement. 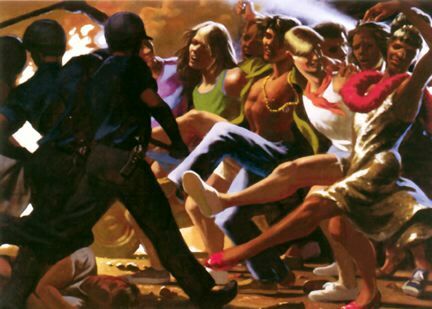 The Stonewall uprising began 41 years ago today (June 28, 1969). There are many forms of sainthood, and you are right to include as saints more than just those formally recognised by the institutional church. 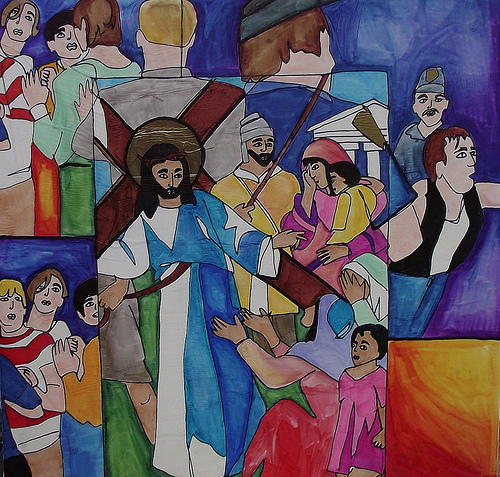 Often linked to "saints" is the word "martyrs", from the Greek "to bear witness". 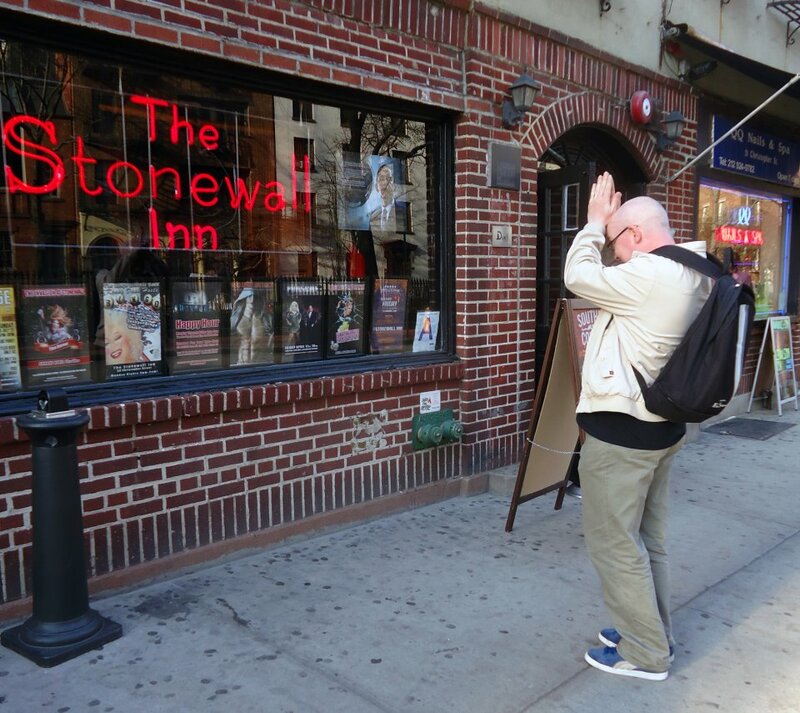 It is in this sense, that we can think of the Stonewall heroes not only as saints, but also as "martyrs", those who bore witness to the truth. So it is too, that we are all called to "martyrdom" at Pride, to bear witness to out own truth. "Speak the Truth in Love" is the instruction from Scripture, and even from the Vatican in its infamous Hallowe'en letter. 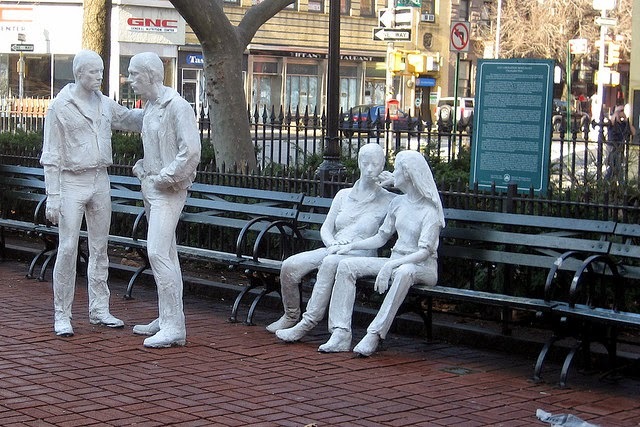 "Speaking the Truth" can also mean, quite simply, joining a Pride Parade as a religious act. Another excellent piece of art by Doug, and a delightful historical tidbit. Thanks again, Kitt! 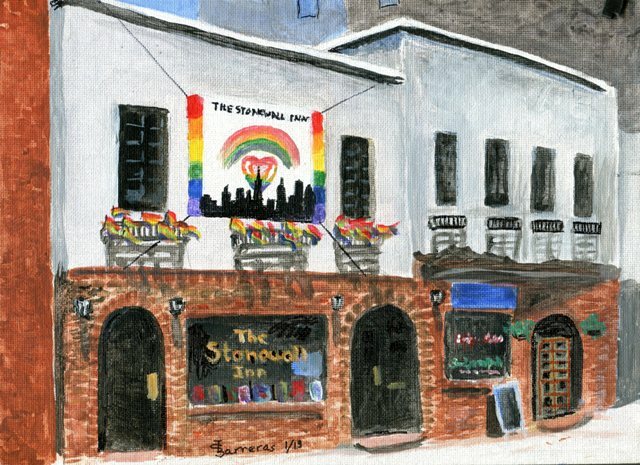 I got excited about LGBT Pride Month this year and posted a lot of material about it, but I thought the "saints of Stonewall" piece was my best. I’m glad that it touched you, Terry and Trudie. Terry, thank you for expanding my definition of “martyrs.” I actually thought about using that word to describe the queers who fought back at Stonewall, but quickly dismissed the idea because they didn’t die. But as you say, martyrs are more than people who die for a cause. Beautiful post and very inspirational. Until now, I only knew vaguely about Stonewall. Reading your post has ignited my interest to learn even more. It has been a pleasure joining LGBT Pride at Bloggers Unite. I always thought that what the lesbian/gay movement needed was brilliant heroic art. Thanks to Doug Blanchard, we have our epic paintings. 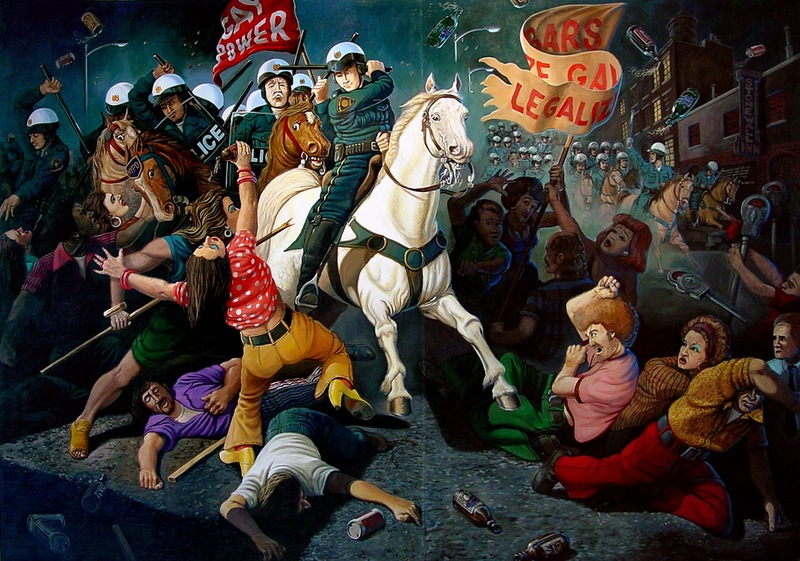 We need to commemorate our heroic fight in paintings-- I'd like to see a whole series on lesbian battles for freedom, a favorite being when all the women walked out of Harvard Memorial Chapel in the early 1970s, because they were walking out of patriarchy! Be sure to get the current July issue of Tikkun magazine, the entire issue is devoted to queer art and gays and god. Doug's beautiful painting is among the art work in the magazine. Thanks to Kitt for making all of this possible, as she worked with Tikkun early on to bring all of this information to the general public. Breathing Soul, I appreciate your affirmation. 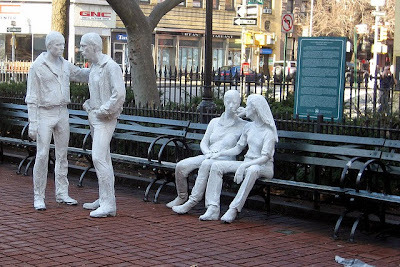 It’s an important reminder that we need to keep retelling the story of Stonewall, even though it may seem like everyone has heard it before. We can be empowered by remembering our own history. Turtle Woman, I share your admiration for Doug Blanchard’s art. I’d also love to see a painting of lesbian feminist Mary Daly ending her sermon at the Harvard Memorial Chapel by leading the congregation to walk out on patriarchy. I wonder if there’s a photo of it? Bloggers, let’s celebrate LGBT Pride! How to unite sexuality and spirituality? What would total freedom be like?